Whether you’re preparing for turbine ground school, priming for a corporate or airline interview—or even if you’re upgrading into your first personal jet or turboprop—The Turbine Pilot’s Flight Manual is designed for you. With precision and a sense of humor, authors Greg Brown and Mark Holt cover all the basics for turbine pilot operations, clearly explaining the differences between turbine aircraft and their piston engine counterparts. 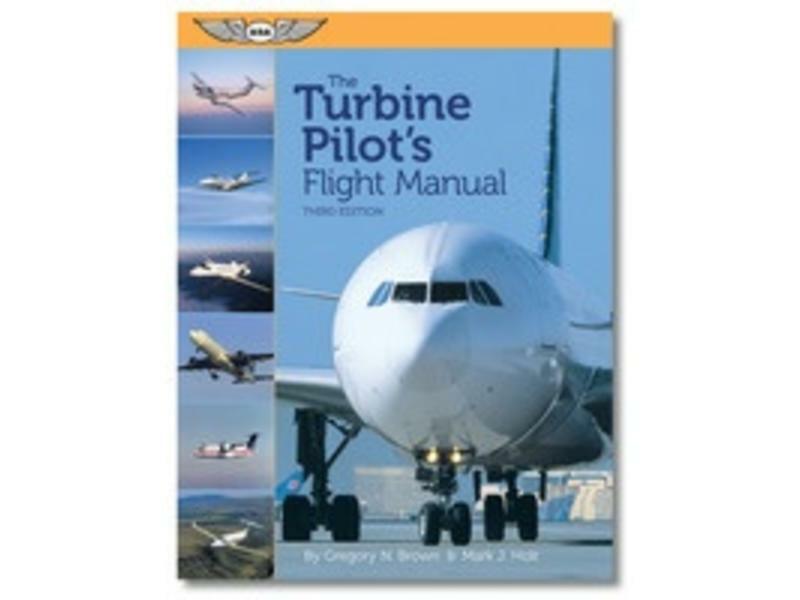 This manual clarifies the complex topics of turbine aircraft engines and all major power and airframe systems, subjects that are pertinent to flying bigger, faster, and more advanced aircraft. It includes discussions on high-speed aerodynamics, wake turbulence, coordinating multi-pilot crews, and navigating in high-altitude weather. You’ll be introduced to state-of-the-art cockpit instrumentation including flight management systems (FMS), global navigation (GPS), and headup guidance systems (HGS or HUD). You’ll also learn the operating principles of hazard avoidance systems including weather radar, ground proximity warning systems (GPWS) and predictive wind shear systems (PWS). This Third Edition of The Turbine Pilot’s Flight Manual details the concepts and operational principles of the latest-generation cockpit instrumentation, navigation (RNAV/RNP), and communication procedures and equipment (datalink and ADS-B) that are only just now becoming operationally available. Also, learn about the latest engine performance management techniques (such as reduced vs. derated thrust). Included are a glossary of airline and corporate aviation terminology, handy turbine pilot rules-of-thumb, and an updated turbine aircraft “Spotter’s Guide.” The authors clarify these complex topics with a wealth of illustrations many now in full color! Additional information is available online where readers can access narrated color animations that make these systems easier than ever to understand.